There are thousands of truckers driving our roads every day. Some of them have been away from home for days. Some have been home for only a day or two and then they return to the same old grind - on the road again, traveling the roads for thousands of kilometers. Yes, they may enjoy the solo nature of their job. Yes, they may enjoy driving - some never seem to get it out of their blood. Yes, they may enjoy the sights and the coffee chats with other truckers at their stops. The trucker fraternity! But not every trucker is driving down the road smiling. Some have heavy hearts. Some have left a broken and fractured home. Some feel guilty over the little time they get to spend with their children and the lonely hours their spouse puts in managing the home-front. Some are just plain lonely and tired of always being away from home. Some just can't seem to make ends meet financially. Have you ever wondered what would happen to the economy and to our lives if all of the truckers woke up some morning and said "No more!" Shelves in the stores would soon go bare. Within a week our lives would be disrupted if all truckers suspended their services. Have you ever expressed your appreciation to truckers? Have you ever shown an interest in their work? Have you ever given them something to listen to while they are driving down the road? Here is something more than one of us tried this summer and you could do it too. There is a small price tag involved - but it is an eternal investment. Every Christian who has an income of any sort should be setting aside a portion of their earnings to support the spread of the Gospel. Here is one way. Here is a sample letter you can use and edit as you see fit. If the font is too small on this blog to read email here to request a copy. 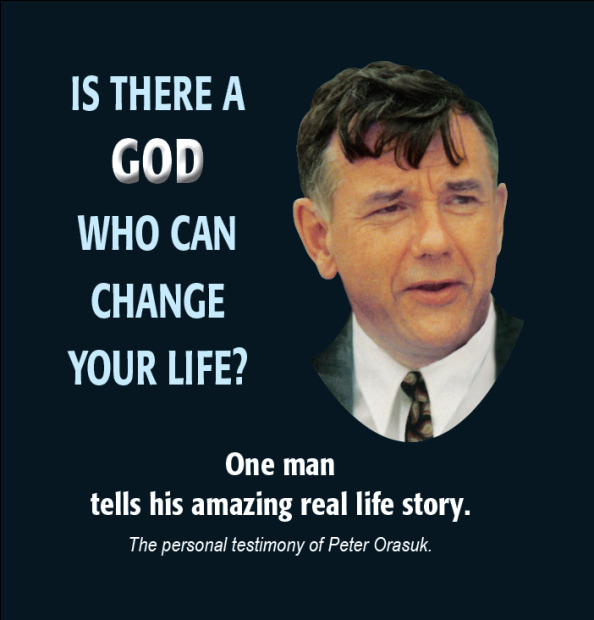 We used the CD of Peter Orasuk telling his testimony how he found Christ as a drug addict and dealer. But there are many other good Gospel CDs out there that can be purchased rather inexpensively. Click here to see some resources. 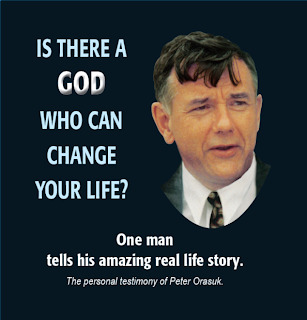 The Peter Orasuk CD is available for $0.50 each plus postage by emailing here. Being Canadian, for the small gift card, we used $5 Tim Horton's gift cards. Can you give them the tract and CD without giving them a little complimentary gift? Probably. But would you leave a tract for a waiter or server at a restaurant without leaving a 15% tip? I hope not. It's a good testimony to not be a cheap Christian. You may think of a couple of other meaningful freebies to put in the package. Have a few of these in your car at all times and when you see a trucker - give her/him one. If you don't have the courage to give it face to face, leave it on the large driver's step below the driver's door to the truck. It will be very visible. 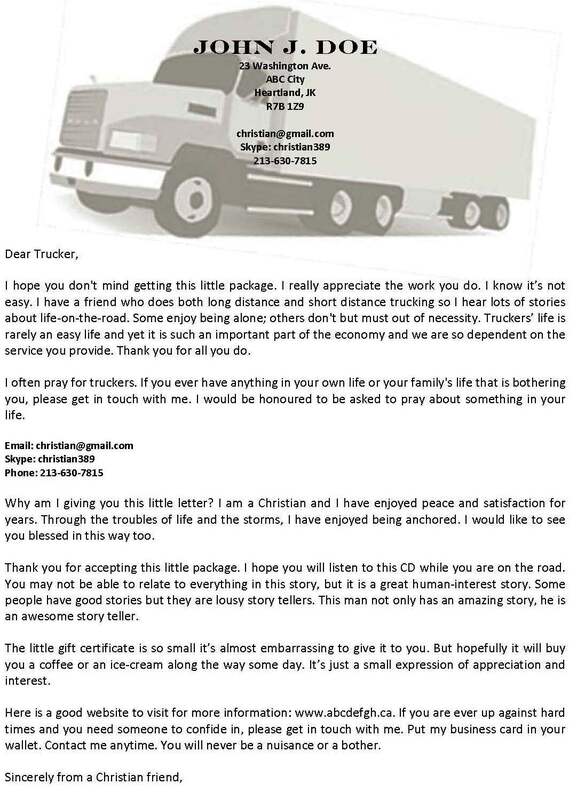 Just think of what the Lord could do with the Gospel CD - as alone the trucker listens to it - driving down the road. Will you ever hear from the trucker? Probably not. But you may meet him or her in Heaven. And if nothing else, as a Christian you have expressed an interest and shared the Gospel in a unique and meaningful way. This is a great idea for a gospel outreach!! Putting CDs in the pkg is great as they have long periods of time to listen.